Researching, testing and figuring out “what’s the best app for that?” is part of my job. I also LOVE sharing information and being helpful. 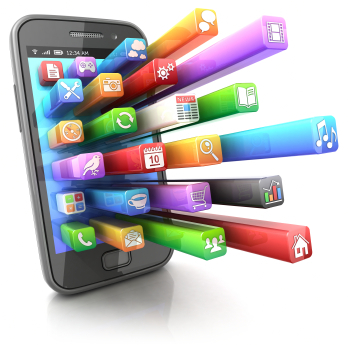 Recently I hosted a video webinar where I shared the six digital marketing apps that I use daily for myself and for my clients. 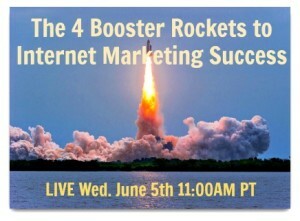 I’m writing this blog post to share this webinar video recording with you. Also, please scroll down, because there are links below to the apps themselves as well as to other resources that I mention during the webinar. Enjoy! FYI, the initial presentation with demos and info about all six apps is about 30 minutes in length. It is followed by about 15 minutes of edited Q&A. This PDF has Jon Leland's recommendations for his six favorite digital marketing apps in one easy-to-read, one-page reference doc. Get yours now. 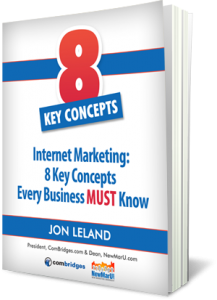 To watch the video webinar where Jon Leland explains these recommendations, click here. Success! Now check your email and click the link to get your download.. If you have any questions or suggestions, I would love to hear from you via any medium you choose including this contact form or via any of the social media networking links at the top of this page. Squarespace Website Quick-Start Webinar: Free. Next Thursday. 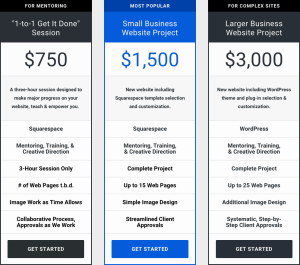 If you’ve been challenged getting a website done or you think they’re too expensive, I have some good news for you. 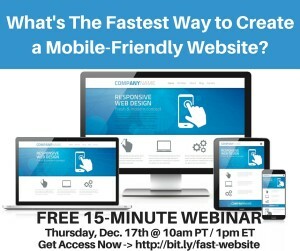 Next Thursday, December 17th at 10am PT / 1pm ET, I will present short 15-minute webinar on why I’m preferring Squarespace websites for small businesses. During this presentation, I will concisely share my knowledge and insights about why most of my clients are now benefiting from the streamlined production, stress-free hosting, elegant templates, built-in mobile-friendliness and other benefits of the Squarespace online website software platform. Click here to register or learn more. 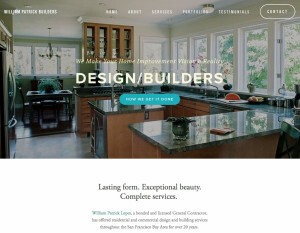 If you’re interested in learning more about how Squarespace and/or if you think this information might help you to have a more elegant website and an expanded web presence more quickly than you may have thought possible, I would love to help you by sharing what I’ve learned in the hope that you will benefit. I promise to quickly and clearly explain why this is the website development strategy (Squarespace) that I’m recommending these days. Squarespace has really changed things at ComBridges recently because now, thanks to the ease of use of this platform, I’m able to do websites a lot less expensively; and, it’s more empowering for the clients to be able to make their own website changes and updates. It also solves the today’s requirement that everything on the web and in email be mobile-friendly. Squarespace does that “out of the box” will ALL of its modern templates. My clients also like that they don’t have to worry about hosting and the associated technical headaches… and on and on. Bottom line, our clients are happy, and you might be interested in learning more about why this is working so well. Click here now to learn more. As many of you know, I am an online marketing mentor with a real passion for connecting the dots for small businesses. I call it spanning the Grand Canyon gap between people and technology. One of the biggest things that’s happened to me in my business in the last or year or so is doing more websites using Squarespace rather than WordPress. All the information about this online event is here on this page, including a personal video invitation and bullets that explain more about what I’ll be talking about. When you click this link you will see more detailed information and be able to register. The live session includes a chat-powered Q&A. The recording is included when you register. 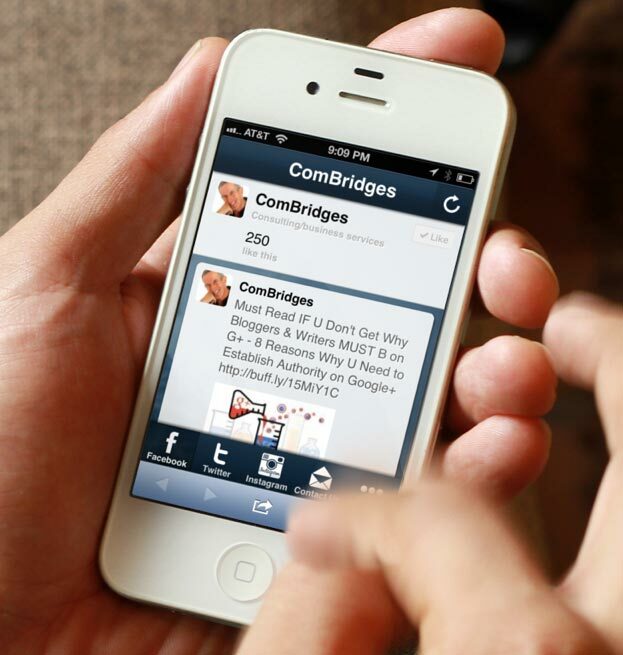 https://www.combridges.com/wp-content/uploads/2015/12/Whats-the-Fastest-Way-to-Build-a-Mobile-Friendly-Website-v2.jpg 315 851 JonLeland http://www.combridges.com/wp-content/uploads/2017/06/ComBridges-Logo-300x60-300x60.jpg JonLeland2015-12-09 14:30:462015-12-09 14:30:46Squarespace Website Quick-Start Webinar: Free. Next Thursday. I’ve been doing social media since the beginning of social media and I’ve never had a more uplifting experience of community and connection than the one I’ve had getting to know the new video conversation platform called Blab (http://Blab.im). 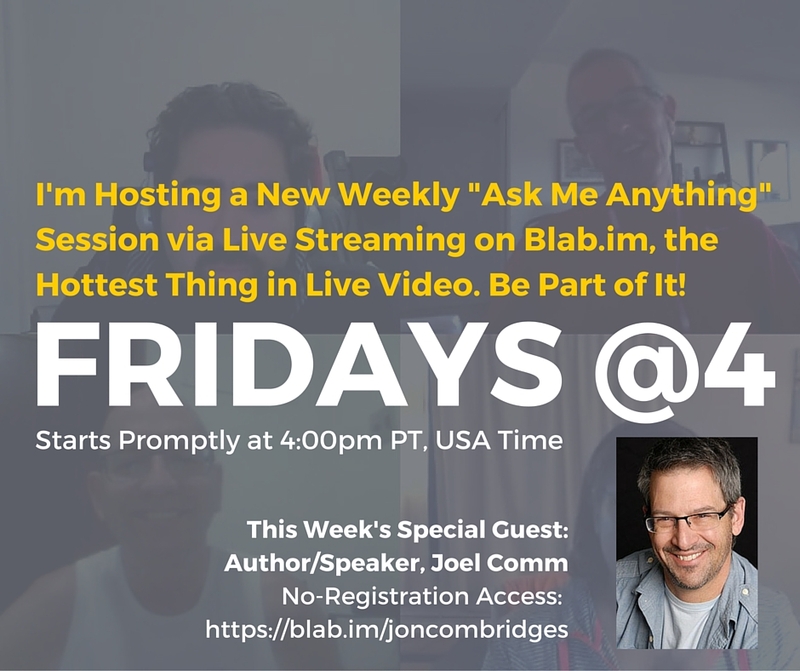 I created this graphic to promote last Friday’s Blab session. We had about 280 viewers who watched live at sometime during the 90 minutes we were on, a pretty steady audience of 60 or so more during the webcast; and, as of this writing, this program has now had over 308 viewers counting the Replay on Blab.im. And, as you will see below, I’ve also posted the recording to YouTube and thus the exposure continues to grow. Those are just some of the reasons I’m excited. Then, to my surprise, as the Blab progressed (may I remind you that this was a live session), I was delighted to have blogging business veteran Darren Rowse join us (see image below). Darren is better known as Pro Blogger and has been a social media marketing thought leader for years. Others who just “happened by” included social media strategist Carlos Gil and digital marketing expert Pam Brossman who both offered some really useful insights and tips (a taste of which are included below). That’s the kind of spontaneous community “happening” it was and which the Blab platform fascilitated. Another guest that contributed a lot to my first Blab show was Brittnay Metz who is a Blab spokesperson and I guess you could say evangelist. For example, she’s the one who sends out emails to the Blab members, but she also spends a fair about of time on Blab itself participating, answering questions, taking feature requests, and generally monitoring and supporting the user base. Brittnay told us, for example, that the company was really committed to staying at only 30 employees. She also talked about the fact that Blab’s engineers are going to be developing very sophisticated video analytics. Both from what Brittnay said and from my own experience, it’s clear that Blab is making sure that their software really works. I’ve experimented with lots of video conversation platforms, and especially considering this is an early “beta,” Blab seems extremely stable. But Blab’s biggest strength is ease of use which, of course, is a very big deal. All you need is a Twitter account and you’re in with full participation priviledges. Blab is also totally free as they grow their user base and there are no plans for a “premium” version on the horizon. In some ways, I think Blab may be the example of the “Instagram business model.” (Instagram was acquired by Facebook for $1Billion.) I imagine that Blab is going to be acquired by a much larger company at some point, but when I asked Brittnay about this possibility, her response was a quite grounded. She said, “What makes you think we want to sell?” I left it at that. The only significant limitations of Blab’s video implementation that I’ve found so far are that it does not work in the Mac Safari browser (because of the video format that Safari uses) andthere’s a mobile app for iOS, but not yet for Android. The best web browser for Blab is Chrome and the desktop version is more full-featured (as shown above). Some of the features that I like most are the fact that it’s a conversation environment with four interactive video windows. It’s easy for people to come and go. The host has the ability to accept or reject “visitors” at his or her discretion, and most hosts are quite welcoming. We had people coming and going all through our program. Blab derives its external social media power through its integration with Twitter. And that’s a big part of what makes Blab powerful as an audience or relationship-building tool. Blab engages users via Twitter with the build-in “Tell a Bird” feature that’s to the left of the video windows (on the desktop version). It’s not only a good way to share what you’re doing, but it actually demonstrates a kind of freedom to interact that is not possible on Facebook because on Twitter “friend requests” are not required in order to interact. Blab stays highly interactive as well with a very lively chat stream that runs along the right side of the four video windows. After you host a Blab session, you get both an mp4 video file and an mp3 audio file of the recording. These files are available for you to download and can be posted anywhere (for example, on YouTube, SoundCloud, or wherever). The video recording doesn’t have the screen names nor the chat stream. You can see the difference between this version and the embed code version that’s also provide via embeds that I’ve included below. Compared to Google Hangouts, in the production sense, Blab is less robust. For example, at this time (although Brittnay told us that this is coming at some future time), Blab lacks screen sharing. Likewise, the spiffy lower-third ID’s that are part of Hangouts are not on Blab, but you do automatically get labeled during the live sessions with your name and Blab ID (for example, mine is @joncombridges). 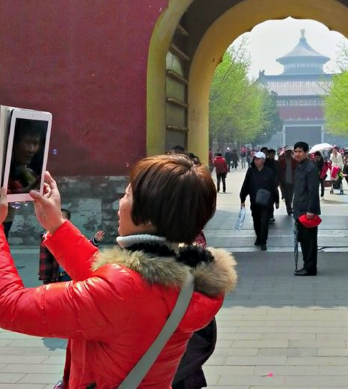 As a work around for the absence of lower-thirds, people have gotten into using apps like ManyCam and CamTwist Studio (Mac only) in order to put graphics into their video frame. In fact, Joel was doing was doing just that all during our program. 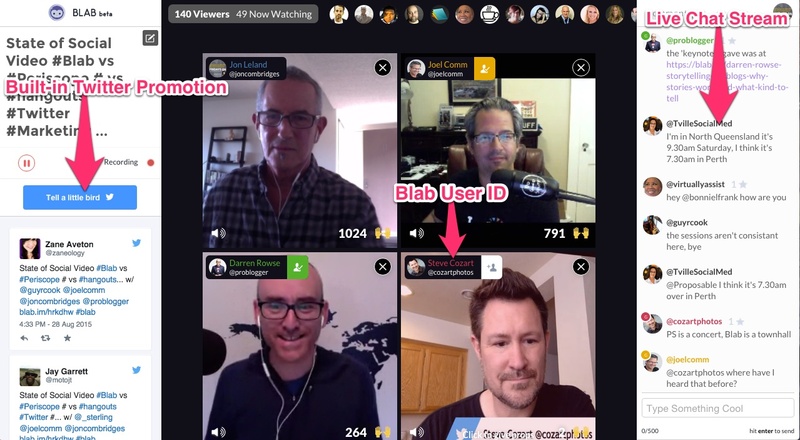 I also think it’s worth noting that, in some ways, Blab’s ID feature is substantially better than the lower-third Hangouts feature because it’s interactive. For example, if you like what someone is saying, you can simply click on that ID to follow them on Blab. There is also a link to their Twitter profile so you can follow or list them there as well. The Blab ID also let’s you address them directly in the live chat stream. You also can click on the lower right of any video image to give the speaker “props.” So, what Blab may lack in snazzy production features, it more than makes up for with ease of use and authentically interactive tools that enable real people to have real conversations, in real time. One of the questions that I asked Joel and the others during my first Blab Show was about lead capture, or lack of those kinds of features in Blab. For example, I use Google Hangouts within the WebinarJam “envelope” in order to do lead capture when I do webinars because I want to be able follow up with the people who attend my programs via email. What I’m learning is that Blab is something completely different. What Blab delivers, possibly “in spades,” is a completely new way to get exposure. And what’s really important is that that increased exposure is delivered via video so people can really get a sense of you and your expertise or value. I’m finding that I’m making new friends with my fundamental practice of “Leading with Value” and that’s the most dynamic and perhaps the most important part of Blab. Blab really is about relationship building and making authentic connections. People are doing this on Blab in a way I haven’t seen before on any social media network. I really think it’s worth checking out. As someone said during the program, the Blab experience is very much analogous to being at a party and meeting people. So in that sense, for marketers, Blab is like a new form of the classic free intro call. One other important dimension of delivering expanded visibility is, as Carlos recommended and I’m demonstrating below, via YouTube. In the future, I’m also going to upload the audio to SoundCloud. In addition, there are people who are using Blab to record podcasts by taking the recording and distributing it via iTunes and so forth. Bottom line, Blab is a new way to get the word out. That having been said, I watched a Blab the other day that featured Michael Stelzner from Social Media Examiner and he talked about specifically getting enrollments for some of their conferences via Blab. Thus, Blab can be used as an on-ramp both to build your visibility and also, in at least some cases, to make specific offers that then people move down your engagement funnel. 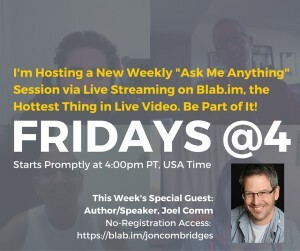 I’m recommending Blab because I’m finding it to be a great way to meet and connect with people. There’s no doubt that in only a little over a week, I’ve made new friends; and, equally important, I’m definitely having fun. Blab is so engaging that it’s literally becoming an addictive kind of social media experience for some people and in that way it’s a great social media environment to be swimming in. I’m really delighted to have the opportunity to keep this kind of energy going, and I hope to see you (literally via Blab video) next [email protected] (PT). This article has a bunch of very practical Blab techniques and I found it personally to be useful. Please Find Below Two Versions of This Same Program, My First “[email protected]” Blab Program. The first is the embed provided by Blab and the second via upload to YouTube—are provided below for comparison. Our new Squarespace website design options—both a done-with-you process and lower priced projects—have taught me important lessons while also helping me to help clients better and to enjoy my work more. I think the testimonial above says a ton! As I’ve continued to experiment with Squarespace as a more cost effective and easier to use platform (vs. WordPress) for small business websites, I’ve not only learned lessons about the need for clarity in differentiating these fresh approaches; but, even more importantly, I’ve uncovered new ways of serving clients that are both better for them and more fun for me. I recently did a “1-to-1 Get-It-Done” Squarespace website session with Christine Fischer via Skype. 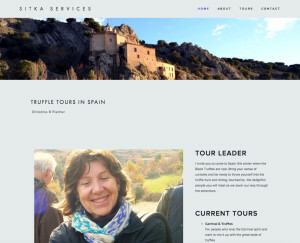 She lives in Spain and conducts Truffles Tours there. While Christine appreciated her experience as “fun” with results that she said are “functional and elegant,” she also gave me some valuable, “constructive feedback.” She told me that she wasn’t completely clear when we started that the 1-to-1 Get-It-Done package was just a session and not a complete website project. I took that input, updated the offer page and then went a extra step by creating a new 3-column chart that’s now featured on my website’s “Website Design Services” page. Now, hopefully, thanks to this chart, people can quickly and easily understand the differences between the various ways that we are now serving up new client websites. Truthfully, for me, doing this chart was also useful because I’ve been experimenting by developing this offers and they needed to be more clearly articulated. Now, as these new approaches to website design and development have become successful in terms of completing both sessions and projects (please see our new Squarespace website design portfolio page for examples), and, as I’m seeing 1-to-1 Get-It-Done clients complete their own websites, my whole experience with Squarespace has become more and more satisfying. In fact, it’s become downright enjoyable! And that’s the bottom line: I love sharing my expertise and being hands on. Doing these projects and sessions have given me a new way to be helpful and one that is empowering for clients. Yay! Yes, Squarespace has made web design fun again. Last week, we recorded a live webinar as part of the re-launch of New Marketing University (NewMarU.com). I entitled it, “The 4 Booster Rockets of Internet Marketing Success” and we covered four key areas that are high leverage for any small business that wants to expand the effectiveness of its online marketing, including why these strategies are important and an overview of how we approach them. All this and more in only about 40 minutes plus Q&A. Please check it out and comment, here or on YouTube. And if you want more, click on the “YouTube” logo to subscribe to our YouTube channel or register at NewMarU.com. Thanks! We look forward to hearing from YOU. 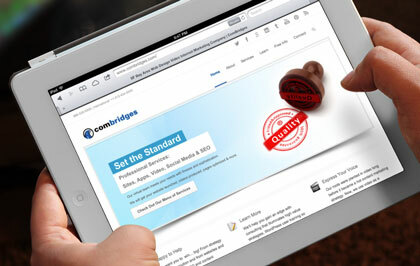 http://www.combridges.com/wp-content/uploads/2017/06/ComBridges-Logo-300x60-300x60.jpg 0 0 JonLeland http://www.combridges.com/wp-content/uploads/2017/06/ComBridges-Logo-300x60-300x60.jpg JonLeland2013-06-12 11:57:322013-06-12 11:57:32Webinar Video: Internet Marketing Success in 4 Easy "Booster Rockets"
Both the good news and the bad news is that online communication is becoming more and more visual. So much so that I’ve begun calling it “The Visual Web” and wrote this blog post about the trend. The second is a new tool that can be applied to both online videos (which I now consider a “must have”) as well as to the increasingly important content marketing strategy of creating infographics. It’s an online application designed for the creation of all kinds of online videos with an impressive array of built-in animation effects. 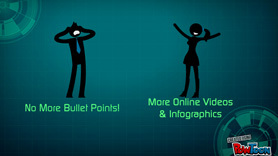 Their site is full of examples, so I’ll just embed their excellent introductory video. If you are interested in this kind of production, ComBridges can do it for you, and more cost effectively than ever thanks to this tool. Check it out! I recently had the privilege of presenting on a panel about taking blogs to the next level at the American Society of Journalists and Authors (ASJA) conference in NYC. Once again, I spoke about why video is a ‘must have,‘ while also suggesting that bloggers be sure to activate “Email Engagement” via a Feedburner.com email subscription form, and activate “Twittitorial” via a Paper.li virtual daily e-newspaper. Amongst some other excellent ASJA presenters (including the inspiring and polished, Sam Horn who will be appearing soon at NewMarU), I was particularly uplifted to learn more about the Smashwords platform (affiliate link.) Smashwords founder, Mark Coker positioned his service as the small business publisher’s best friend. 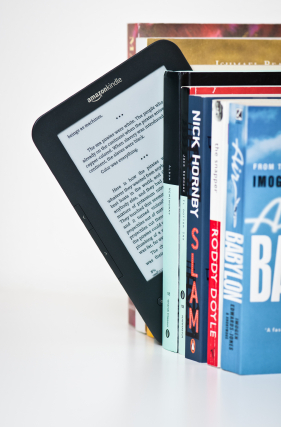 It pretty much does everything you need, except format and submit your ebook for the Amazon Kindle. Its services include ebook conversions as well as sales for Apple’s iBooks store, the Nook and others. I had been thinking that given the relative ease of using Amazon’s CreateSpace.com to publish my ebooks on the world’s largest ebook platform that that might be as much as I could “chew.” Now, given that I’m a fan of the Kindle app on my iPad and use it often, I’m thinking that the most effective road map that offers the widest possible distribution for the least amount of effort is to use CreateSpace for Kindle and Smashwords for everything else. But I’m still researching and learning. Anyone have any reasons why this is not the best approach? I’d love your input.